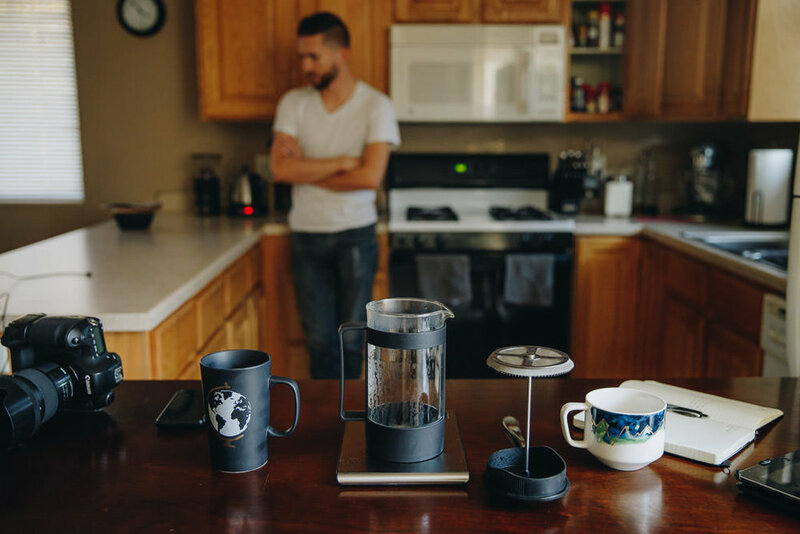 Over the course of a few months, a few friends brought a different style of brew method for the French Press to my attention. To be honest, the first couple, I only briefly skimmed over the details and quickly wrote them off. Surely a 10 minute brew time would result in a severely over-extracted and dense coffee. As it turns out, I’m not always right, go figure. The longer water sits around ground coffee, the more solvents it extracts into the solution. Instead of decanting immediately, this method instead removes the larger particles. The fines then settle to the bottom of the French Press, where extraction slows drastically. If you pour carefully, those fines will remain at the bottom, making for a clean and flavorful cup of coffee. 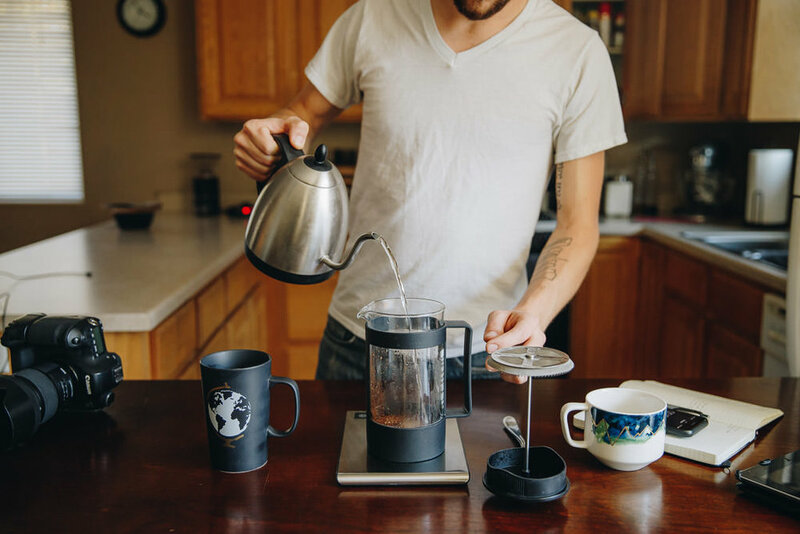 Traditional French Press brew methods call for a coarse grind in an effort the limit the sediments in the final cup. Unfortunately, a coarse grind extracts flavor inefficiently compared to a finer grind. Since we are scooping out the larger particles and allow the fines to settle, we can maximize our flavor extraction with a finer grind. Maybe you’re asking yourself how the finer grind works with the metal filter on the plunger. After all, doesn’t a coarse grind limit sediments from filtering through? Yeah, I asked myself the same question. In this method, we never actually use the plunger except as a screen for pouring. We want all those fines to settle and to stay at the bottom, pressing the plunger through the water only serves to agitate those fines and undo all that waiting we just did! If you don't have an electric kettle, bring the water to boil then let it sit settle for a minute or two. You only need an inch or two of water. Be efficient and dump it into your mug to heat it as well! Pour aggressively to agitate the grounds. Spin the French Press as necessary to wet all the grounds. 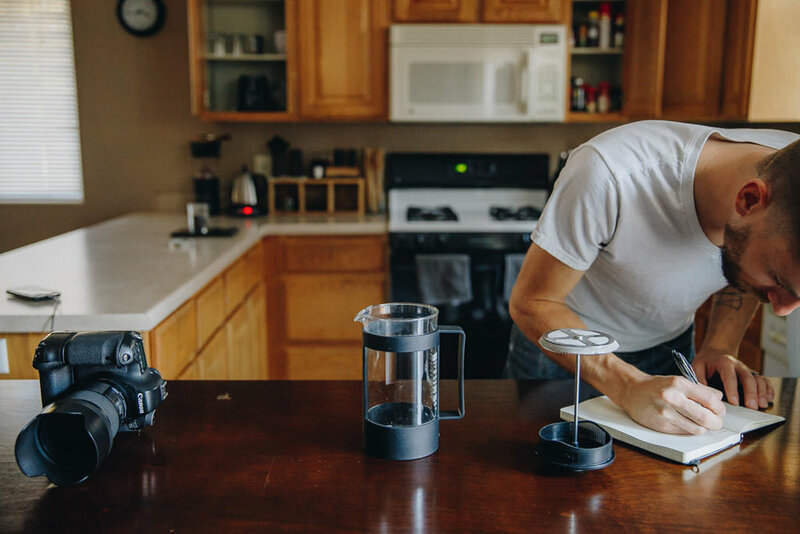 If you like the body and texture of the traditional French Press, you'll want to pour sooner, either right away or after a minute or two. 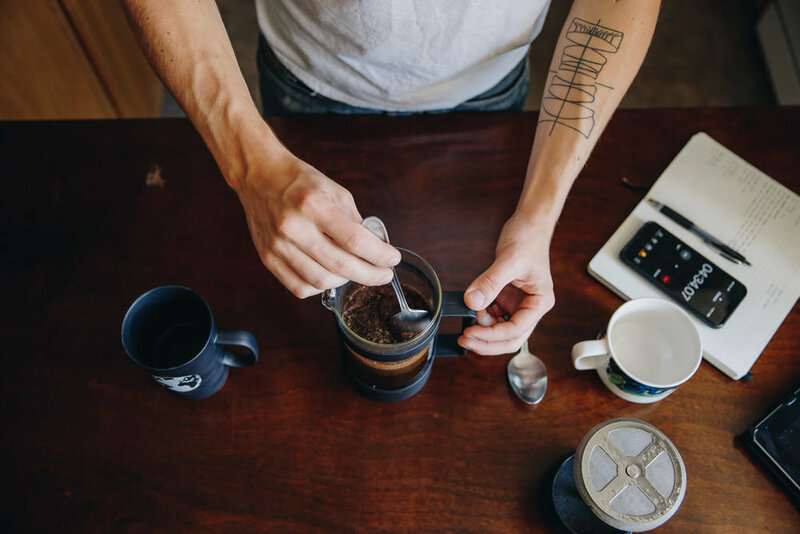 If you like a cleaner cup, similar to that of filtered coffee, you'll want to let it sit longer. Leave the lid on to pour but don't press the plunger, we don't want to agitate the fines. 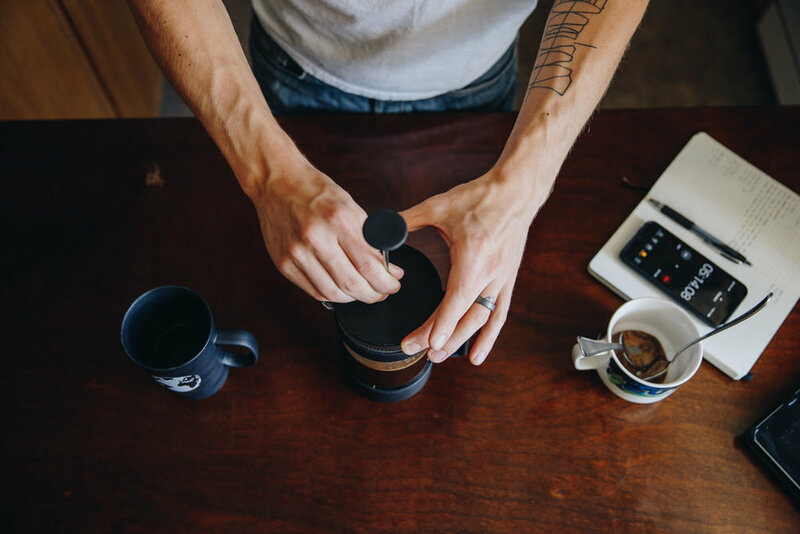 Pour as gently as possible, using the filter as a strain for the grounds at the bottom. 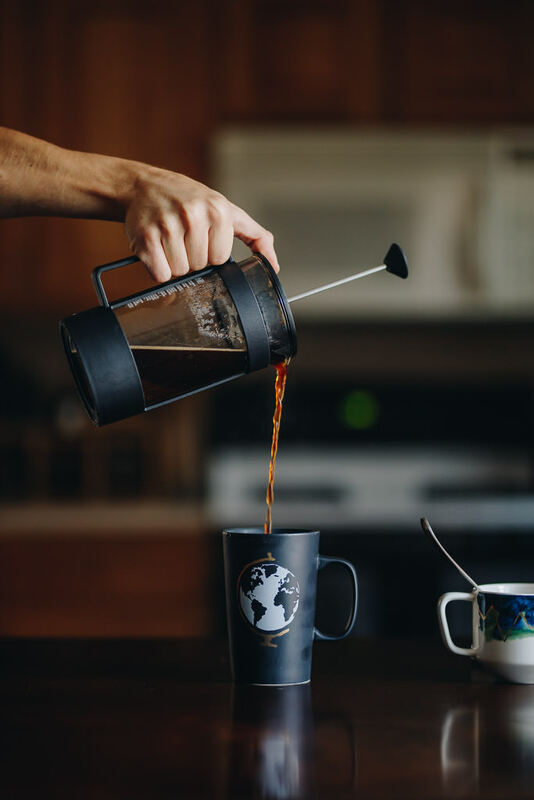 For those of you who really enjoy the weight of standard French Press coffee, this method won’t add to much additional time to your brewing, just a couple extra steps. If you’re like me, on the other hand, and like a clean cup, this method does require a significant increase in brew time. You’ll also need to dirty a few more dishes thanks to the two spoons and the vessel you scooped the crust into, unless you just dropped it straight in the trash. I’ll be honest, the clean up still annoys me, so I’m probably not going to start brewing with this method on a daily basis. However, the French Press scales far better than may other methods, so it may become my go to for group brewing with this new method. 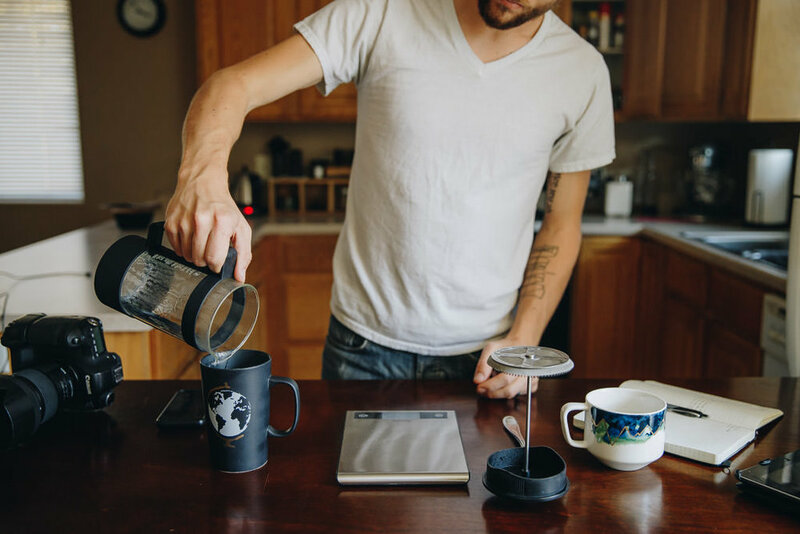 The method remains the same no matter the amount of coffee you need to brew. 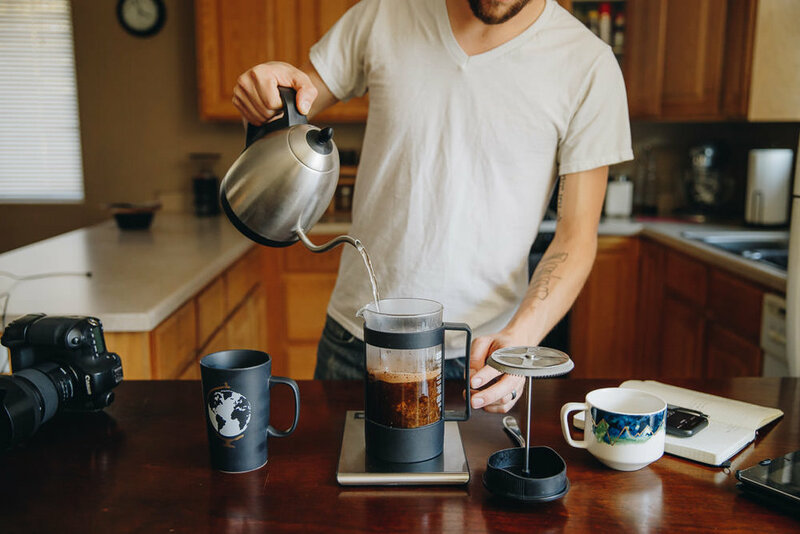 If you had two French Presses, you could easily alternate the brews in a sequence to increase your output efficiency. As always, if you have comments or questions, drop them below or shoot me an email! Thanks for reading! If you haven't yet, check out my buying guide for Christmas this year!